If you are passionate about hiking but have a small child, the baby carrier becomes an absolute necessity. 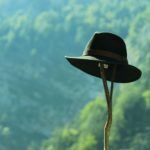 Hiking is more than a mere hobby. Most times, it becomes a serious passion and taking a long break does not appear that feasible. 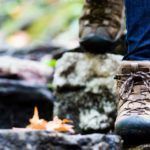 On the contrary, taking your child to a hike can be a huge learning experience for them. Apart from the physical workout, hiking is a great way to inculcate team spirit, positivity, and respect for nature. But as a conscious parent, I am sure you do not want to inconvenience your child either. 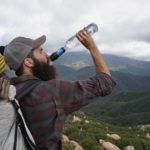 This is exactly why the need for the best hiking baby carrier comes to the forefront. You have to carry your child in a comfortable manner, but at the same time, remember you will be negotiating difficult terrain. As a result, the risk and the security both need to be taken into consideration. Most importantly, your comfort is also crucial. If you are not comfortable, your child cannot be. A good quality baby carrier can easily help you address this concern in a comprehensive manner. Not only will you be more relaxed, but your child will also be able to enjoy the ride a lot better. A good carrier will also cut down the physical labor involved in the whole act and help your child appreciate the companionship more than anything. But then, the key question is how you decide on the best hiking baby carrier. One simple option is that you can refer to this handy review of the top baby carrier options that you may choose from. Our reviews and ratings are based on comprehensive user feedback and also an in-depth study of a variety of features that go on to decide the best possible opportunities for you currently. 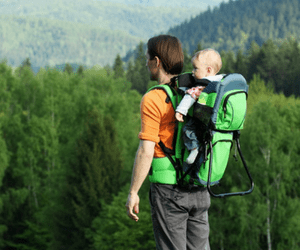 If you are the type of person who loves the outdoors and want to share with your child, this is one of the best hiking baby carriers for you. This is a carrier that is both safe and comfortable and specially designed to carry your child in a convenient way for miles together. The best feature about this baby carrier is the protective cover that it extends for your child. This one comes with a special type of mesh hood to protect the baby’s soft skin from the sun’s glare. There is also a separate rain cover for them too. After all, who likes to be drenched in the rain? But if the weather changes and it is bright and beautiful, you can also remove it. What really makes this a game changer is the fact that it is a zero back strain option. That means this baby carrier has been so designed that as a parent, you are never uncomfortable carrying your kid and the phenomenal suspension helps distribute the weight equally. The height is also adjustable depending on the child and your height. This is an extremely well-ventilated and secure set-up for your child. It also comes equipped with adjustable stirrups to keep your baby’s feet secure. They are no longer dangling and kicking you at the back. There is also adequate storage space in this baby carrier. So whatever you need to carry, diapers, food and toys, everything fits in. This also comes with a diaper changing pad which means whether you are at home or outdoors your child’s comfort is not compromised. 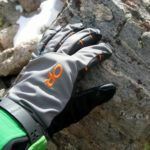 The thermal insulated zipper pocket adds to user convenience even more. With the help of this pocket, you can now keep your child’s food or milk at the desired temperature for hours together. Adjusting the straps can be tricky, and if you are not able to get the right balance, it can be quite uncomfortable carrying your child for extended hours. Better suited for those who are fairly tall. 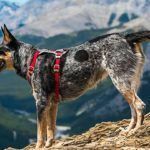 If you are tired of sore backs and ache from carrying your child through your hiking trips, it is time to change your baby carrier. 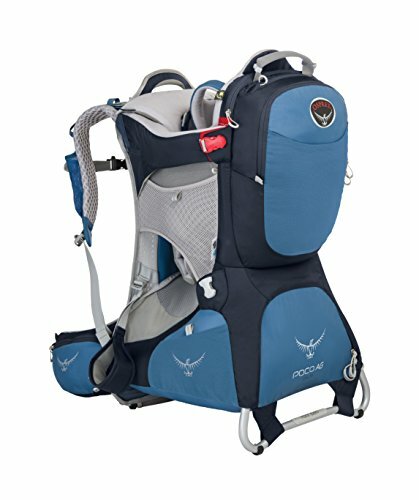 The Osprey Poco AG Plus Child Carrier is perhaps one of the best hiking baby carriers to opt for. 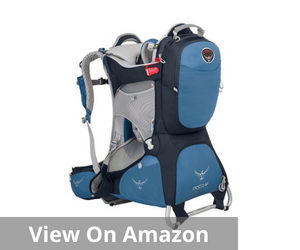 This award-winning, anti-gravity backpack suspension system makes it a lightweight, affordable and convenient way to carry your child and hare your passion with the kids. 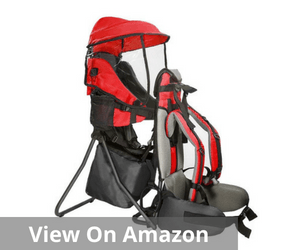 This lightweight baby carrier is made of aluminum and offers load stability to the user. 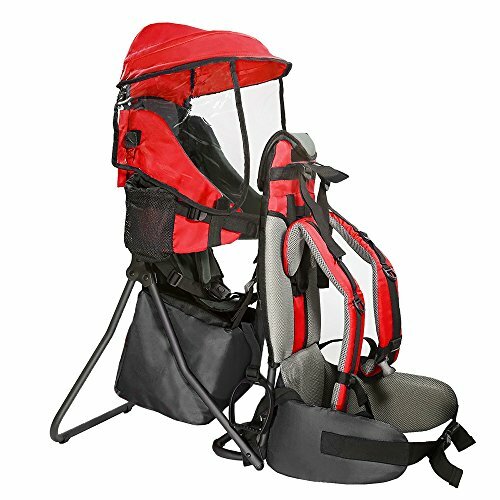 They are equipped with a mesh harness and back panel combination. This is the secret that keeps you comfortable and in control of the physical strain. This backpack is also all about convenience and is very high on storage. It has an extra-large zip compartment in the lower half and is ideal for storing diapers and other space consuming items. There are also dual zip hipbelt pockets to keep all your essential items easily accessible at all hours. There are also additional stash pockets and stretch mesh harness pockets for greater convenience. There is a safety mirror that enables you to keep a tab on your child even when you are on the move. Additionally, there is also a dual reinforced grab handle that allows picking up the child or setting them inside comfortably. The convenience factors do not end just here. Keeping in mind the needs of really small toddlers, there is also a removable drool pad that is soft and comfortable. This is one of those baby carriers that do not compromise your child’s safety in any way. As a result, it comes with a double halo harness that is adjustable and customized as per user requirement. The child’s seat is specially equipped with a fully framed and padded cockpit. This frame is a lightweight aluminum frame that offers a stable platform to mount this carrier and evenly distributes the weight. There is also a built-in sunshade that allows easy use when required. The adjustable stirrups to are a welcome addition. Hip belt extremely stiff and hard and uncomfortable as a result. Many users have ended up bruised hips. Overall the adjustments are not as convenient universally. These suit a select body frame. 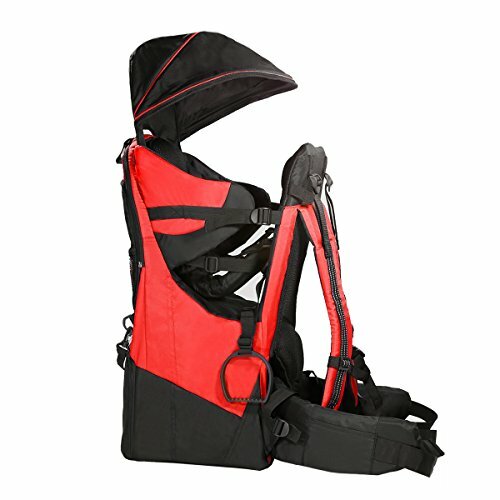 When you are looking for a convenient and versatile baby carrier, the Red Clevr is one of the best hiking baby carriers that you may choose for your family. This is a really sturdy and durable structure made of strong but lightweight metal. As a result, this becomes ideal for withstanding the day to day wear and tear as well as vagaries of nature. This baby carrier comes equipped with thick shoulder pads, padded waist strap and water holders on both sides. There is also a unique safety strip across the back pocket of this baby carrier. It also includes a sun and rain cover to protect your child from nature’s wrath. These are convenient to set up and can also be easily removed when not required. When not in use, this carrier can be easily folded and stored upright. As a result, this is rather convenient to store and a highly portable baby carrier. This is well suited for children till 4 years of age. This one is a super light and stylish baby carrier that enhances the overall hiking experience. 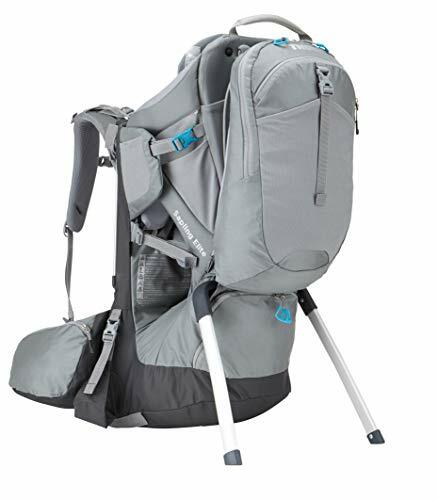 Undeniably one of the best hiking baby carriers, this one is known for the superior comfort and lightweight convenience that this one represents. An extremely study but weighing just 5 pounds, this carrier comprises a metal frame and 600d oxford cloth. The upgraded foot strap adds to the overall comfort factor and makes for easily securing the child’s feet. In terms of storage and portability too, this is a great option. The adjustable shoulder pads and bolsters add to the user convenience and make this one a clear winner. However, this carrier is ideal for carrying a maximum of 33 pounds only. So it is more convenient for those with smaller kids. However, the adjustment issues persist in this one too like many others. 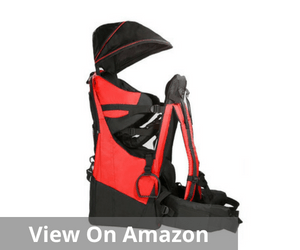 For those who are particularly small built, this carrier exerts undue pressure on the shoulder and the back resulting in injury and discomfort as well. 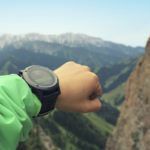 When you are looking for the best hiking baby carrier, some of the most important features include convenience, comfort, and safety. 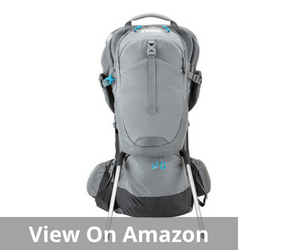 The Thule Sapling Elite Baby Carrier is practically all of this and a lot more. This has sufficient storage space including large zip compartments. 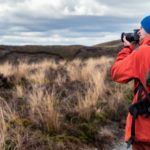 As a result, think of anything that you want to store from water to rain gear to any other essential, there is always sufficient space for all of them. The mesh pockets, the hydration sleeves, and zip compartments make for organized and adequate storage space. The hip belt pockets ensure that you can keep the most important items handy and close to your reach. That means for every small thing like reaching out for a toy or a snack for your child, you don’t have to stop. You can access these even while on the move. The load stabilizer is a very important and useful addition. It helps you to adjust weight even while you are on the go and based on your requirement you can create a comfortable position that is useful for both you and your child. The viewing mirror to is a great inclusion as it enables monitoring your child on the move. Customer service is however far from satisfactory. So when it comes to your baby’s comfort, most parents are very careful about choosing the best hiking baby carrier. But the question is what the features that you must pay attention to are? 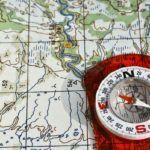 It is essential to consider the minor differences and major constraints as that alone will help you make a definitive decision on the best possible option. The idea is to make sure that your or the baby’s comfort is not compromised and at the same time, all of it fits in your budget too. When you set out to decide on the best hiking baby carrier, this is never the first thing that you pay attention to. You are most preoccupied with the array of special features that the manufacturer has in store. But the reality is there are many key differences and variants. 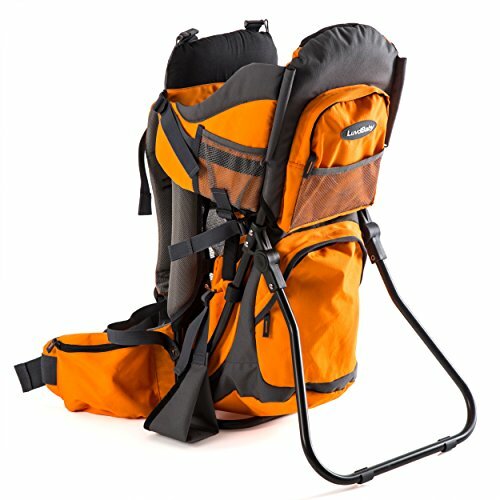 The lightweight carriers are about 4 to 5 pounds, but if you are keen about additional comfort, the weight can easily rise to 8 pounds and more. To that, you must also add the weight of the child and approximate total weight that you will be carrying. 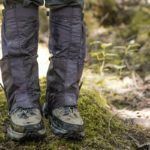 So you have to carefully assess your total weight carrying ability and the type of comfort that is crucial for your child. 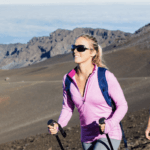 The terrain, while you are hiking, tends to be unpredictable, and this is what enhances the need for a baby carrier with greater scope for adjustment. Moreover, you may share the same carrier with multiple family members like your spouse or sibling. 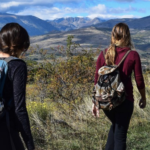 So, the best hiking baby carrier is the one that can easily adapt to different body types as well as the need of different individuals as well as the terrain that they frequent. Traveling with small kids is not that simple. You need diapers, food, water, and innumerable such small baby requirements. These are also elements that are absolutely necessary for a baby’s comfort. But often buyers make the mistake of going for minimalist looking options and in the bargain, compromise on storage space. However, additional storage space does not have to necessarily mean that it is a heavy and cumbersome variant. Look for trendy, well-organized variants which are high on storage space but low on weight. It really helps if you have options with a wide range of pockets to fit in different things at different places without much of a concern. The priority here is to match functionality with overall style, look, and purpose. 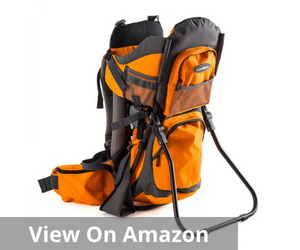 The next factor while deciding on the best hiking baby carrier is the kind of support and security that the baby carrier offers to you. Most baby carriers come with a combination of straps and harnesses to ensure your child’s 100% comfort and security. It is always better to carefully consider each option and then justify its necessity. Sometimes buyers go with the wrong notion that if it is expensive, it will be good. Sadly, that is not the case all the time. You must make sure that you can secure your child in a comfortable position and their legs are not dangling. Moreover, there should be adequate support straps for complete comfort. Therefore, the best hiking baby carrier is the one that is high on comfort and safety but affordable. However, don’t be swayed by a million confusing features. Decide on the key requirements and then look for ones that conform best to these pre-requisites in a well-balanced manner.